You would have read from my feature article on Chinese New Year Yusheng that Yan Cantonese Cuisine serves up a pretty interesting yusheng. 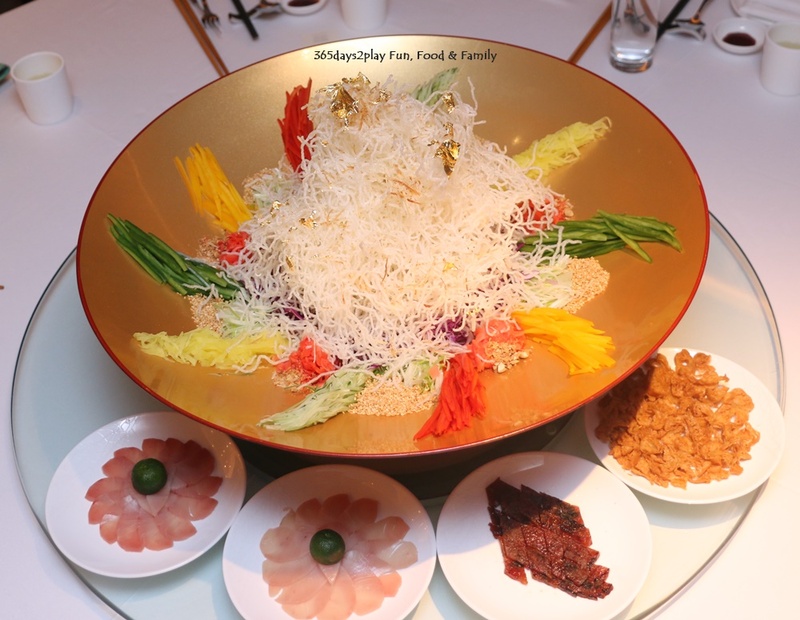 The Kaleidoscope of Prosperity Yusheng in “Shun De Style” is more savoury than your usual yusheng so if you don’t like the veggie/salad taste of yusheng, this yusheng from Yan is the one for you. The mountain of crispy fried vermicelli topped with gold leaves also makes a crackling sound (like firecrackers!) when drizzled with the yusheng dressing. Doubly unique! I thought I should also feature some of Yan’s other dishes because they really are worthy of mention. 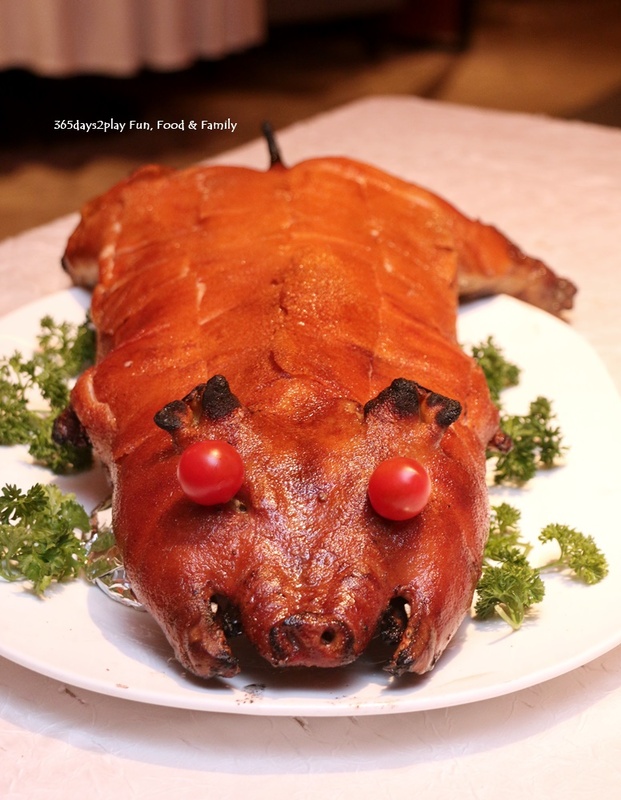 Trust the Cantonese restaurants to be able to get their soups and roast meats right. Even if you visit after Chinese New Year, you definitely should try out their soups and roast meats. I have visited Yan Cantonese Cuisine a couple of times previously and the food here is consistently good. When I think of PUTIEN restaurant, I think of its Lor Mee, Heng Hwa Noodles and its Mazu Mee Sua. Those were the dishes I would head for whenever I visited its Vivocity outlet practically a decade ago. Back then, the PUTIEN outlet was located inside the Food Republic foodcourt! How the brand has grown because now they boast 53 outlets all over the world, including 12 in Singapore. And they have also bagged the Michelin One-Star Restaurant Award for 2016, 2018 and 2018. But PUTIEN offers more than just those noodle dishes I mentioned. They have all the sharing dishes that you would expect when you think of a Chinese restaurant. But of course, if you want to dine at a Michelin-starred restaurant without spending too much, those noodle dishes are only $9.80++. 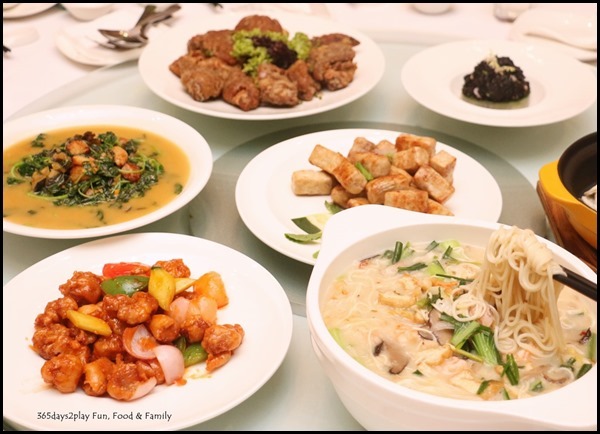 Scroll down to what were my favourite dishes from the PUTIEN media tasting. 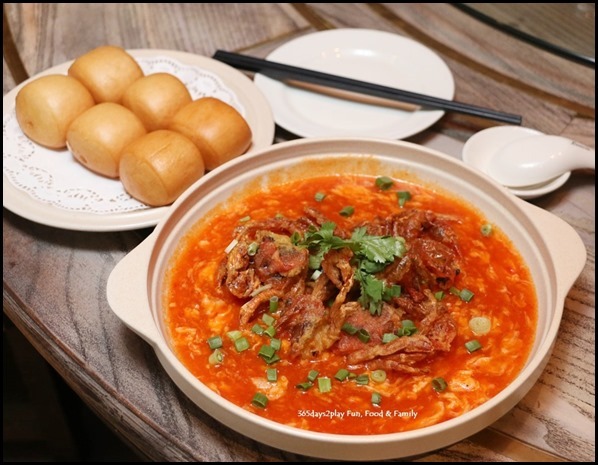 Celebrate Singapore’s birthday month at Dian Xiao Er with Chilli crab, one of Singapore’s beloved and iconic dishes. 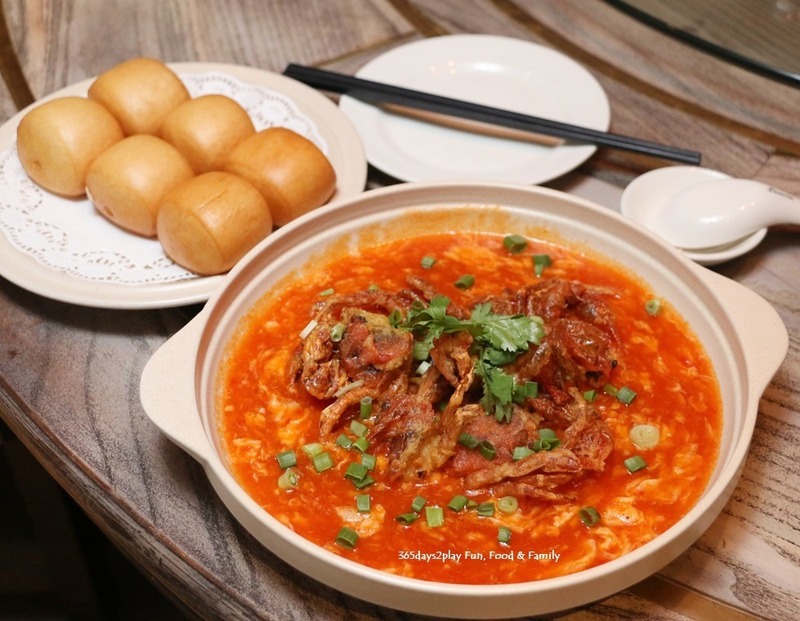 But what’s special about this chilli crab is that soft-shell crab is used, so for once, we can all just dive right in with our mantous in hand, slurping up the luxurious sweet and spicy chilli crab sauce, without having to fiddle with hard shells and cracked nails. It’s a wonder this dish is not more commonly found! And alas, you have only up to 2 September to enjoy this! There is a new Chinese Executive Chef at Majestic Bay Seafood Restaurant. Chef-Owner Yong Bing Ngen has promoted Chef Chee Hin Yew (who has worked at Majestic Restaurant for 16 years) to the role of Chinese Executive Chef. Chef Yong is keen to prove his mettle and based on what we sampled a couple of weeks back, I’m sure it won’t be very difficult. I had good memories of Majestic Bay Seafood Restaurant when I first visited back in 2012. A number of times I wanted to return to check out their dishes again but I some how never made it back. After the good experience from this recent food tasting, I’m very keen to bring my parents out for dim sum lunch soon. I would love for them to try the delicious seafood dishes we sampled, but I have to admit the prices are a little beyond budget for a casual weekend lunch. The dim sum dishes are however priced more affordably, similar to other chain Chinese restaurants at the malls. Anyway, scroll down to see the dishes we sampled. It certainly looked as good as it tasted. If you feel the same way too, don’t forget to hint hint to your bosses for the next department dinner…. Edward got to partake in the food tasting as well. 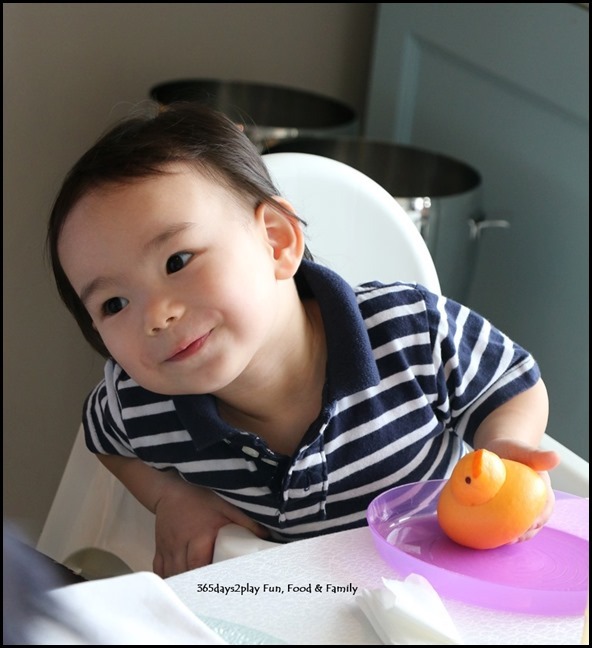 Poor Papa had to give up a good sized portion of his food to Edward because he simply loved it! Crabs, lobsters, fish, prawns, bring it on! Here’s Edward itching to get started on the yellow duckling bun! Who is cuter, Edward or the duckling? 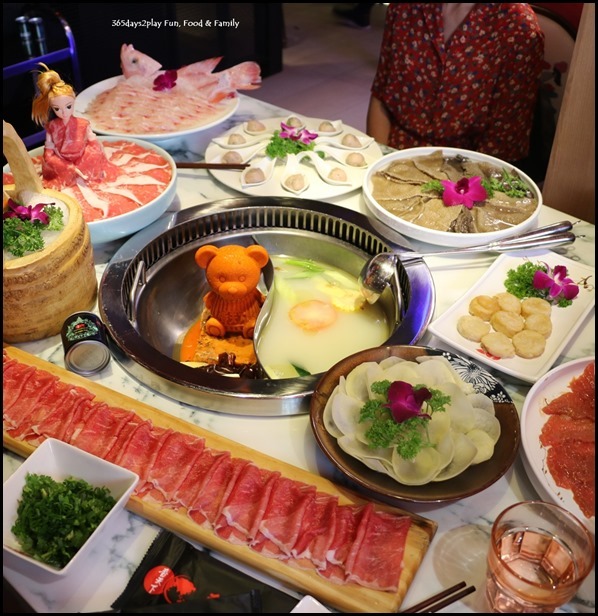 Spice World Hot Pot opens in Singapore–Fancy a meat dress doll or a mala Teddy Bear / Hello Kitty? It’s no joke, the number of hot pot restaurants that have been opening in Singapore of late. Just this week, I attended 2 media tastings of new hot pot restaurants. Well, Spice World Hot Pot from China will certainly make you sit up, not least from the spiciness of its mala hot pot broth. If it doesn’t creep you out, order the barbie doll dressed in wagyu beef, or how about a mala Teddy Bear / Hello Kitty sitting in your soup broth? Spice World Hot Pot, founded in 2003 is one of China’s top 10 global hotpot brands. The Sichuan mala broth is its signature soup broth. No artificial flavouring, MSG or flavour enhancers are used, and instead, the soup bases are first brewed in Sichuan China using deep forest peppercorns from Hongya farmlands, chillies from Guizhou and Sichuan, before being further processed in Singapore. Yes you eyes are not fooling you, that’s literally a Teddy Bear shaped out of mala soup and beef oil. For the luxury of watching Teddy or Hello Kitty slowly melt into the broth, it will cost you an additional $9.90. Might be worth the price if you have many Instagram followers, and let’s be frank, it’s actually quite fascinating to watch poor Teddy plop into the soup and dissolve away….